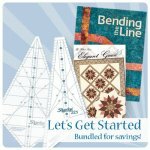 Bending the Line and Elegant Grace are bundled with the Squedge 45 and Squedge 22.5 for big savings. 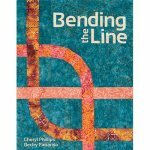 Start off with Bending The Line and take an A,B,C approach to the Squedges! Simple blocks that can be mixed and matched for amazing results! 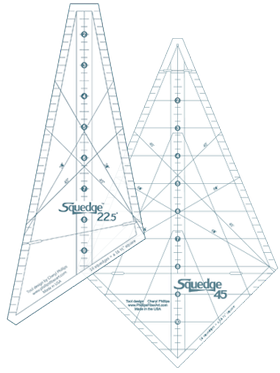 give the Squedge project dimension. 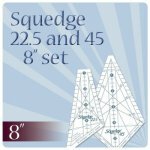 It's our first pattern to use two Squedges in one pattern. Working together is what they were designed to do!! We had an amazing time with this line of Maywood fabric for this pattern! It's a new flavor for us but don't forget you always have the option of spicing things up with amazing fabrics of your choice!! We can't wait to see what you come up with!! 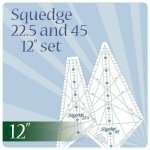 Free patterns available for the Squedge 22.5! Download today!